Heroes In My Closet: Go Nad’s! And what part of the anatomy are we removing hair from... Hmm? 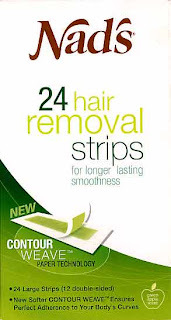 No truth to the rumor that this is the preferred hair removal product for members of the tea-baggers. Hey! It's got contour weave! Swell!